Bidwell Bar (or Bidwell's Bar) was the first of the great mining camps that were settled in Feather River country of Central California. Gold was discovered at the site by John Bidwell, a frontiersmen that traveled to California in 1841 to start a ranch. Bidwell Bar received a post in 1851. 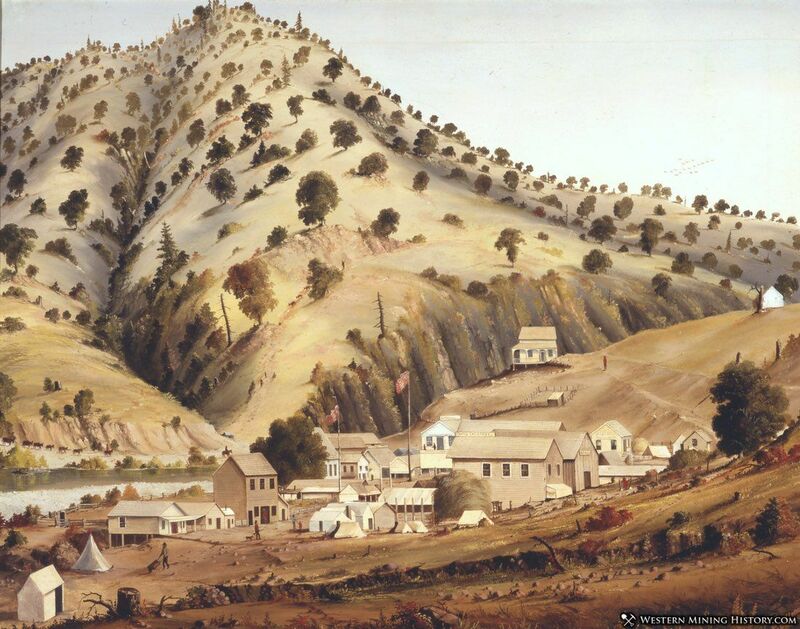 Mining in the area peaked during the years of 1856-1857 and the town reached a population of around 2,000. Bidwell Bar became the second seat of Butte County, after it was moved from the mining camp of Hamilton. 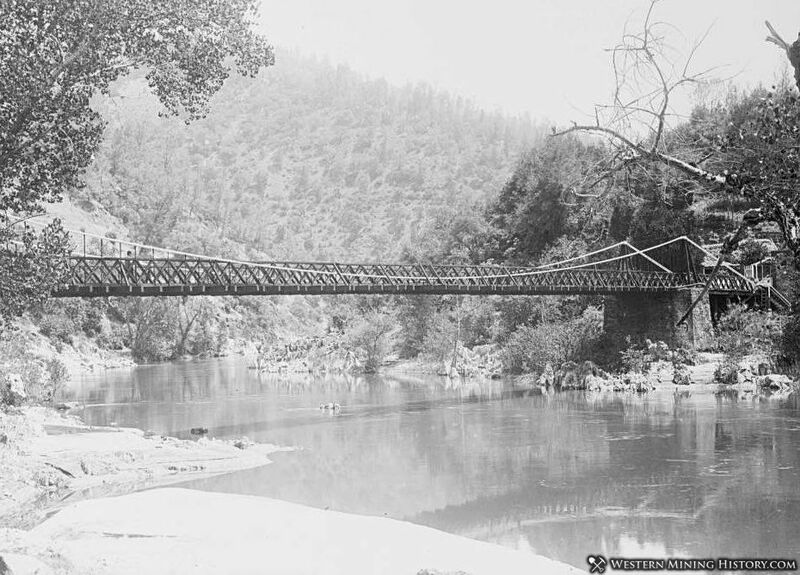 Bidwell Bar was famous as the site of the first suspension bridge built west of the Mississippi River. The bridge was built completed in 1855 and was used until the 1950s. In 1964 the bridge was relocated to save it from the rising waters of Lake Oroville. Today the bridge is preserved as a footbridge 1.5 miles downstream from its original location. About the same time the bridge was completed, the placer gold at Bidwell Bar began to run out. Miner's were moving on to other camps, including Oroville which became the new county seat in 1856. The rising waters of Lake Oroville submerged what remained of the town in 1968.